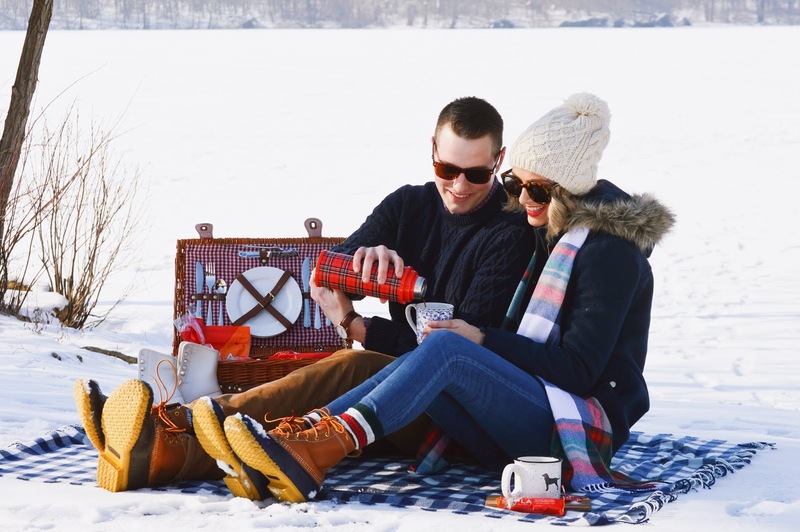 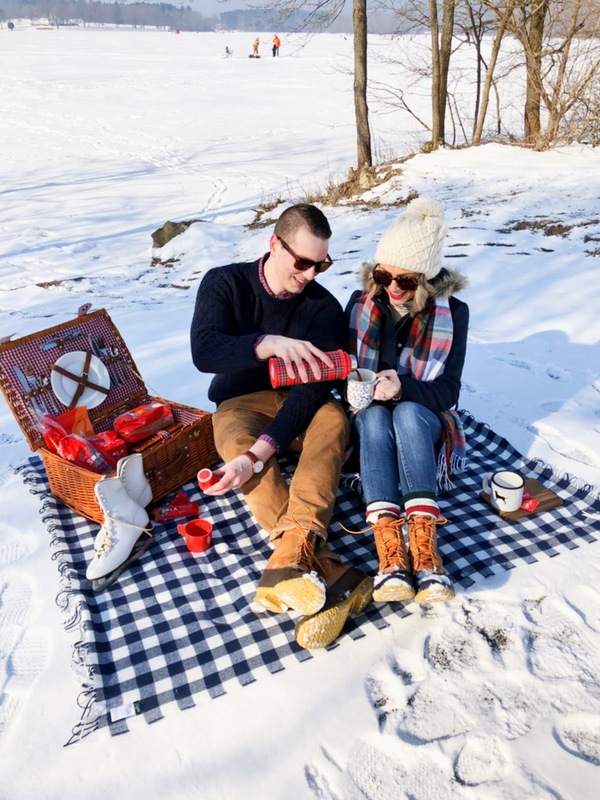 Joe and I woke up early last week and decided it was the perfect morning for a little winter picnic at the lake! 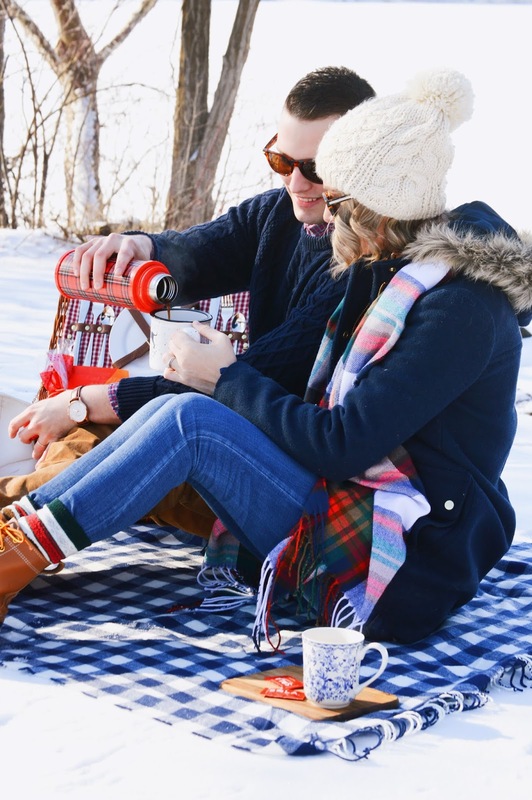 We brewed some coffee, packed some snacks in our picnic basket, laced up our Bean Boots and headed off to Memorial Lake (see our last post at the lake here!) 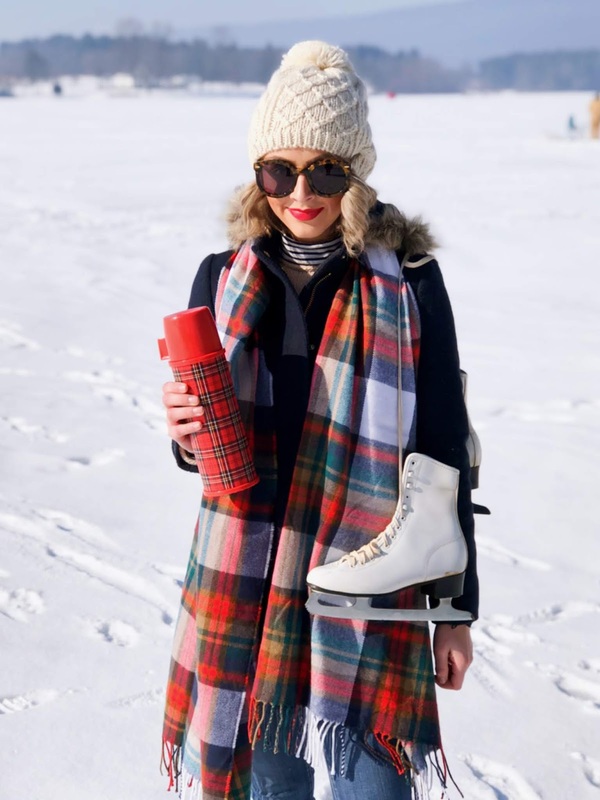 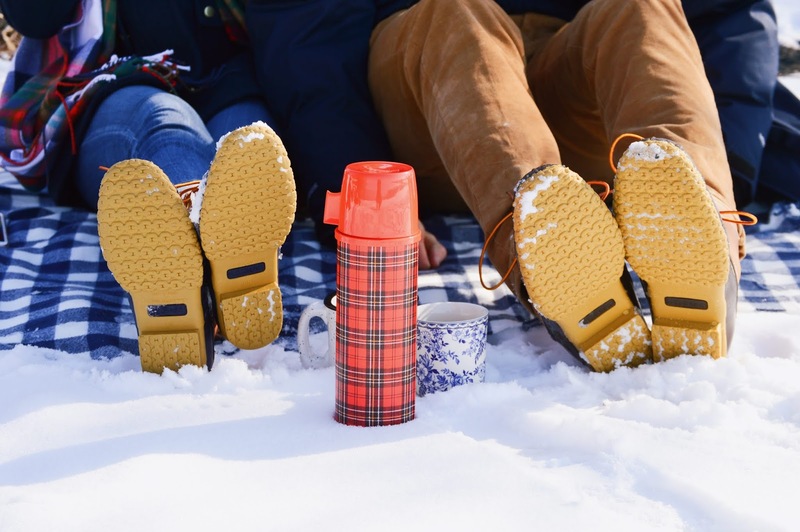 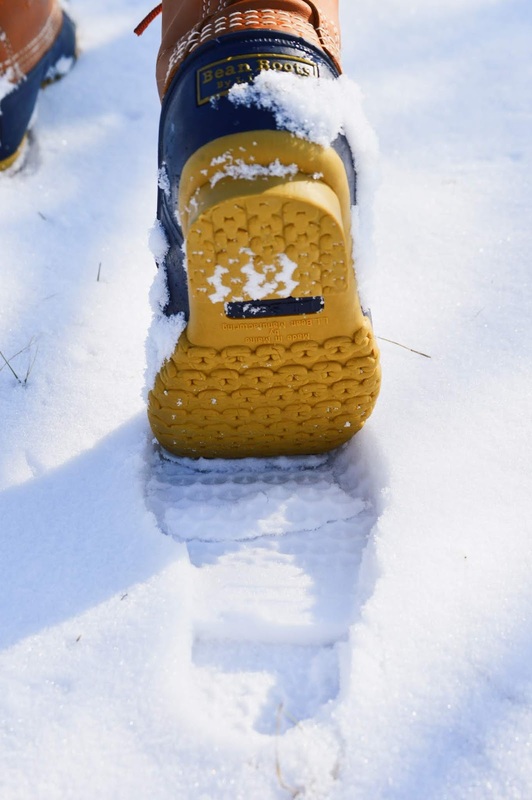 After picking the perfect spot out on the edge of the snow covered lake, we poured ourselves some hot coffee out of our plaid thermos and watched the ice fishermen at work. 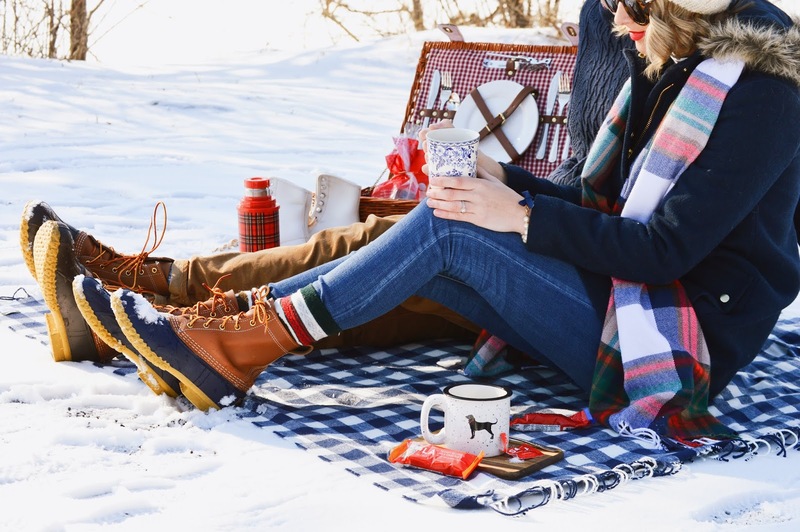 It was the perfect winter morning with my love.